On this Veteran’s Day 2013, I can’t say thank you enough to the Men and Women of every branch of service in our United States Military. Those who have served. Those who serve today. And those who gave their lives. I will honor you for the rest of my days. I Thank You. He was on the bench, just inside the grocery store. Sitting there in slacks and dress shoes, wearing a freshly ironed plaid shirt, with his Retired Air Force cap straight on his balding head, he was just some old man waiting for his wife to finish shopping. The vacant look on his face makes most people think he isn’t all there… maybe alzheimers, maybe dementia, but he watched as each person passed him. I, too, watched as each person passed him, not giving him a thought. I walked up to him, “Excuse me Sir”. I reached out my right hand and finished, “I’d like to Thank You for your service to our country”. He looked up at me, I saw as the tears began to well in his old eyes, he struggled to get up, once on his feet he squared himself, and reached out and took my hand in his. His grip was light but purposeful, gently squeezing my hand, his gratitude was like electricity running up my arm. “It was my honor to serve.” It was then that I saw the fire in his eyes… I took him back to another time, another place. Somewhere only he knows. I asked if I could sit with him a minute, I wanted to hear about his service. After a few minutes of hearing his personal story I realize all of his military history was lived before I was even born. But that matters not, to me. He served in one of the bloodiest wars of our time… and he returned. Many did not, and it’s for them that he represents. A frail woman pushing a grocery cart, walks up to us. She eyed me with some suspicion, I stood up and reached my hand out to him one more time. “Again, let me thank you, Sir” I began, but this time he interrupted. “I’d like you to meet my wife, Mrs. Johnson, she is also retired.” I swing my open hand towards Mrs. Johnson, I say “Thank You, Mrs. Johnson, for your service to our country.” She reached out, I cupped her tiny hand in both of mine and looked her right in the eye. “I am so proud of you both” I say. The frightened look gave way and this little woman grew a smile that warmed my soul. I don’t know how I affected their day… but I am forever changed. And forever grateful for the freedoms that they were willing to give their lives for. 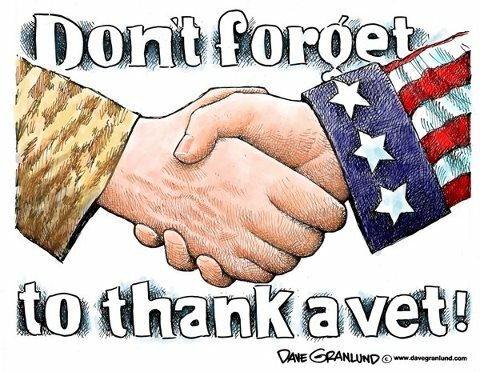 Thank You to all who currently serve, for those who have served, and for each soul whose fate was the ultimate sacrifice. You are not forgotten in my world. 11. The piece of wisdom you would pass on to a child. Keep the power of play in your life. And then play some more. Never stop playing. Growing up is not what you believe it to be. And when you do grow up… never stop playing. 12. The unlikely interest that grabs your curiosity. True crime stories, and it began with murder mysteries. My Mom was a big reader of the mysteries… so I started with all her hand me downs. Mostly Agatha Christie and Earl Stanley Gardner. When all that craziness was going on on the west coast with Charles Manson and his crew, in 1969, I was just wetting my appetite for true crime novels… then a few years later out came “Helter Skelter”, by Vincent Bugliosi. Wow. After that, I found “In Cold Blood” by Truman Capote. And it was on… throughout the years I have devoured whatever true crime books I could find. It simple amazes me, and it frightens and saddens me, what one human will do to another. 13. The treasured item you lost and wish you had again. The year I was 16, after half of my hair was yanked off my head by a press pulley. That summer I went to work with my Dad, who was a printer. I leaned back in the chair I was sitting in and a printing press pulley caught my hair and instead of turning the press off and unraveling my hair, the pulley began pushing into my skull so I was yanked away from the machine. The shock to my skin/hair roots was so dramatic that it took close to a year before any hair began to grow. Remembering that I was 16 at the time of this incident, it was such a game changer for me… I was NOT like other girls. I was half bald. What guy was attracted to me? Good grief. Hats, scarves and constant comb over hairdos…. this is why I HATE hats of any kind!! 14. The unending quest that drives you on. Life itself. As I age, time seems to be moving faster. So each birthday I pass is a much sweeter celebration since there are so many who left us much too soon. 15. The poem that touches your soul. Corny as it sounds, I have two favorites and they both involve baseball. Who’s On First. Which was a skit done by Abbott and Costello. And ‘Casey at the Bat’ by Ernest Thayer. (I am a huge baseball fan, a bleed-red St Louis Cardinals fan for life!) The ‘Who’s on First’ skit I’ve seen many times and it’s funny!! I think I even tried to memorize it back then! But Casey at the Bat, that was real to me. As I was a ball player growing up I felt every moment of this poem ~ as I struck out many times in my own little Mudville. 6. What one thing would you do if you were invisible for a day. I would spend the entire day walking the halls of the Smithsonian Museums. Being invisible would afford me the freedom to get up close to history – past the velvet ropes and those rundown old security guards. I would love to breathe in the aura of some the our worlds greatest treasures. To see those inventions that inspired someone to make a better world, or some fantastic artifacts brought back from every corner of our world and galaxy. Would I touch the hem of one of the dresses worn in the movie Gone With the Wind?? Yes, I would, but ever so gently. To see wonderous works of art, beautiful paintings and sculptures, made by the hands of other humans no better than I am. I would be a sponge absorbing as much of all this wonder that I could. But I’d need a map… I’ve been told I couldn’t see everything in a day!! 7. The pet peeve that makes your hackles rise. Stupid drivers who drive against the arrows in parking lots while giving you the evil eye because you are in their way. Arrghh!! #$@%*!! Don’t get me started…..
9. The person who influenced you most. Ruth Lewis. Ruth and I worked together as PBX operators for Ramada Inn. This was indeed the old phone switchboards like on Green Acres that you pulled cords and pushed into holes to connect calls. (Wow. That in itself is quite a memory….) At that time I was just 18 and Ruth was in her late 60’s. She was a happy lively gal who always had a smile on her face. If you asked how she was doing she would remark, “Just Peachy!” Her upbeat philosophy was so contagious that just being close to her you felt better. I was lucky enough to get to know Ruth. Always with a joke or some funny tidbit that happened in her daily travels. She had a worn deck of tarot cards that she kept her her purse. She’s get those cards out and shuffling away, with a little glint in her eye she’d say…. “Are ya ready?” Hahaaha! She told my fortune everyday I saw her…. with a few differences most of them said the same thing…. I would live a long life, I would find a wonderful man. I would travel. I would… I would… I would. The laughter that she and those cards provoked were epic!! After I left that job I stayed in touch with her for a few years. Sadly, I lost track of her. I would guess she may have died by now. But then again, she might still be kicking somewhere! My understanding of this friendship is becoming clear. She was the precursor to what kind of person I would like to become. She used to tell me that in the end… nothing matters more than continuing to breathe. I get it now. Live while you’re alive. Laugh and laugh some more. Enjoy your life and remember that the only thing you cannot recover from is…. death. 10. The figure from history that you’d most like to share a meal and a drink. 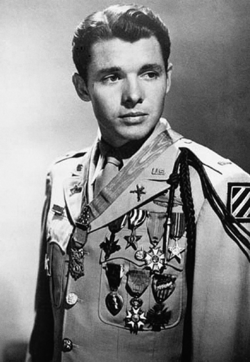 Audie Murphy and Alice Huyler Ramsey. I couldn’t choose just one. Alice Huyler Ramsey (1886-1983) Thank you Mrs. Ramsey!! 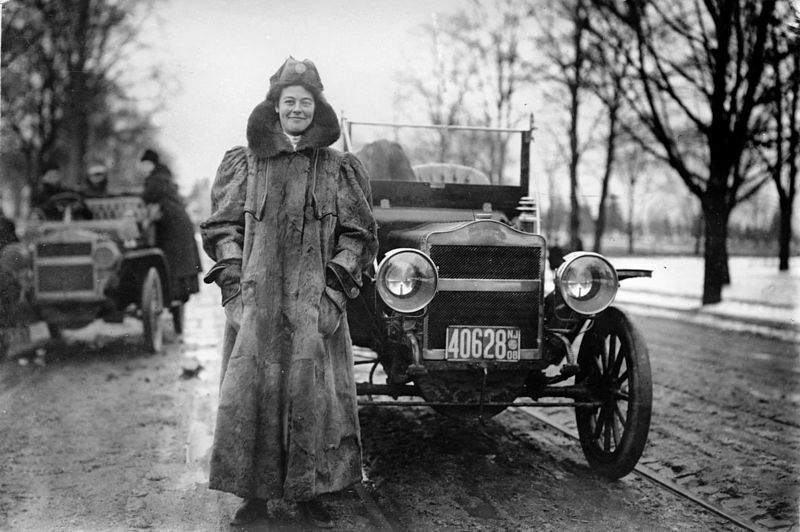 She was the first woman to drive from New York to California in 1909. 3,600 miles and only 152 of those miles were paved! The trip took 59 days. It was the first real road trip for girls! (She was joined by 2 of her sister-in-laws and a girl friend, and not one of them could drive!) One thing to remember here is, not only was a woman driver frowned upon at that time, but this was waaaaay before roads became the interstate system we are spoiled with today! She changed her own tires and cleaned her own spark plugs! I’ve read a couple of stories about this adventure… sounds like something I would have loved to do! She was honored as “Woman Motorist of the Century” in 1960 by AAA. I think her and I would have been buddies. Go Alice! For the past few months I have wanted to do more blogging, but the words… I just can’t get them to paper without sounding like I’m drowning in misery! I have a few great posts left in me but just can’t hook on the thoughts and bring them to the surface. So instead of forcing it, I am going to try jump-starting in a different direction. I came across an edition of a TV Guide from a European Sunday newspaper on one of my planes. Since I love to read, I browsed through it. Endless stories about the tv shows that are currently showing. It also included a piece called “The Definite Article”. Where they ask a celebrity (in this case it was Scottish actor Tom Conti) a set “of devilishly probing questions – and will only accept THE definitive answer”. They were 25 very interesting questions, that really had me wondering how I would answer each one. So I am swiping the idea and will answer those same 25 questions myself. 1. The prized possession you value above all others. My car. It represents my freedom. I can get in it at any time and find myself on a new path to anywhere I wish to go. I’ve had many cars over the years… and to each one, belong memories of my life’s adventures. Many of my greatest moments revolve around my travels. Driving has been a passion since I was 18 and I cannot live without that mobility. Whether I was running to, or running away from, something ~ my car has always been my one solid. 3. The way you would spend your fantasy 24 hours, with no travel restrictions. Up with the sun, I’d start with a full breakfast at a street cafe, somewhere on the east coast, maybe Savannah, Georgia, so I can watch the sun rise on the water. I would then spend the afternoon on a clear beach, near the equator, say the Galapagos Islands, with a margarita in each hand, and some of my girl peeps, just laughing and giggling!! Dinner time would find me in Italy, at the table awaiting a huge plate of spaghetti and never-ending supplies of bread and wine. I would wind down the day, behind the wheel of a badass V8 5 speed, with a full tank of gas, windows wide open, music blaring.. zipping along the Autobahn, in Germany. (No speed limits…. ahh what a dream!!) Then to end my fantasy day, I would have a 2 hour massage in a comfortable bed under the stars, somewhere right here in these beautiful United States of America. 4. The temptation you wish you could resist. Oreo cookies and a glass of ice cold milk. ‘Nuff said….. It took me a couple days to answer just these first 5… and I still have 20 to go!! So this will be a multiple segment post!! I am discovering a little about myself that even I didn’t realize! Enjoy… it may take a while for me to answer the next 5, try to stay tuned! Is that the phone ringing? Tomorrow is my birthday. And she is not going to call and sing to me. Since the day I was born, she sang the Happy Birthday song. First, in my ear as a baby, next, over cake and candles as I grew older and later it was by phone. Last year was the first time she couldn’t make it through the whole song…. her ragged breathing made it so difficult for her. At the time, she apologized, and we laughed about it. In that moment, it didn’t occur to me that it would be the last time. There is something about birthdays that only a Mom can understand. When you give birth to a child… that day is forever etched into your soul. That one day where you have that super strong connection to one person. The one day, and she never missed it, my ears would hear her sweet voice singing. For 55 years, she never missed it. Tomorrow is my birthday. And the most awful year of my life comes to an end. I had no idea that on that day, one year ago tomorrow, when she couldn’t finish the Birthday song… that she had only a couple months left to live. Because of her death, I find that I just spin now…. in no particular direction. Not necessarily out of control, but with little purpose. So many aspects of my life have changed. I lost her. My career took a hit and changed dramatically. My relationship took a serious hit and I still feel the sting of that. I’ve had very little joy. I tried many times to write for this blog but I just couldn’t find anything upbeat enough to share. I have wallowed in this year of firsts… all revolving around the absence of my Mom. First Christmas, first Mother’s Day (by far, the hardest one… until tomorrow), first time returning to St. Louis to find that “going home” isn’t the same. Many things happened to me, a few good but mostly bad things. I am glad it’s almost over…. this awful year of firsts. Tomorrow I begin again, another year on my own road. Yes, I am aware that I must continue without her… but I don’t much like it. I’ve had many precious people die in my lifetime, as we all do, but there is always the absence of that one important person that will change your destiny. I lost my Dad suddenly when I was 28, it was such a blow to my family. And because I was young and all caught up raising my own child, I didn’t get the enormity of it. Since his death, I’ve lost many… all my grandparents, some aunts, some uncles, a few friends… and even a grandchild. But none of those losses prepared me for the loss of my Mom. I still have little girl issues, I still stomp around and whine about how unfair it is that she is gone. My little girl heart is broken and will never be the same. Tomorrow is my birthday. I guess I will be sing to myself….. The grey reign is over. Then, double bam!! .. my Momma. Life suddenly grabbed the road, like hot tread on sticky pavement, and I was screaming in the wrong direction. I was so blindsided all I could do was jam on the brakes. Stopped dead. Just like that. Everything. For 5 months I lost all joy. And just as spring is about to bud I find my spirit looking up. I am coming back to who I am. Things are different – yes. It’s still me, with new bunch of mental scars added. During this time frame, I stopped dye-ing my hair, Not because of any forethought. Simply… I didn’t think about it. After the holidays, I noticed how grey I was under the coloring. So talking to my stylist, one more hair cut and my hair would be all natural… no leftover dye residue. Another month went by. Last week was the cut. Even she said she didn’t realize how grey I was…. ouch! The cut was great as it always is! But I was so washed out. O. M. Really?? Went out that night and the mirror in the ladies room (under that brightass light!) showed a very grey old girl looking back at me. Let’s just say I got my mojo back, complete with my special lick of color! Now, looking back at me is still an old girl, but damn she lookin’ hot!!! Haha!! Great things do come in small boxes. Thank you Revlon!